Supporting science literacy and STEM education is a top priority at Fermilab, offering a wide array of programs that support educators, families, students, the general public and young researchers. The Fermilab Education Office provides avenues for technical staff to engage these audiences with Fermilab’s science and technology. Themes include scientific discovery, practical applications, scientific and engineering practices and other areas to help promote a life-long interest in science. The next generation of our workforce is in school today, and robust STEM education is vital to preparing these students for careers that create the scientific foundations moving our society forward. Fermilab is one of the most fertile resources available today for stirring young imaginations and supporting the development of tomorrow’s scientific visionaries and leaders. 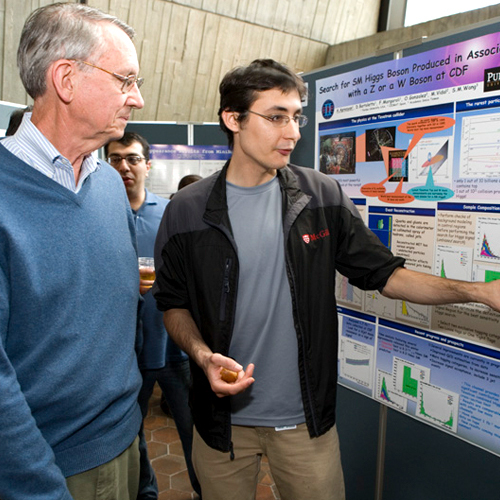 Learn more about the educational opportunities at Fermilab.